1. 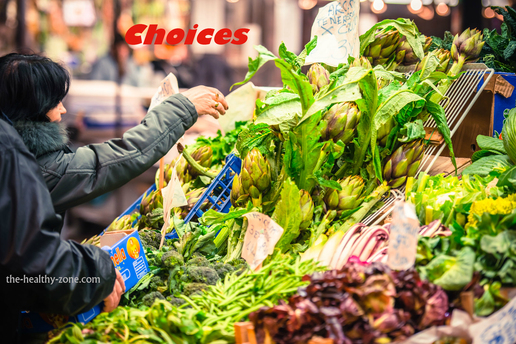 If your budget causes you to pick and choose which foods you buy organic, there are some which are particularly contaminated when you purchase the non-organic versions. The top “dirtiest” produce includes apples, peaches, nectarines, strawberries, grapes, celery, spinach, bell peppers, cucumbers, cherry tomatoes, snap peas, potatoes, hot peppers, kale and collard greens. 2. Eating organic and in season will give you a greater variety of foods over the year. Lack of variety in your diet can actually kill your gut flora, which results in a host of health issues including obesity-related illnesses. Most processed food is made of four ingredients — corn, wheat, soy and meat limiting the nutrition you receive. How can we counter this? Eat more whole, organic foods and eat a variety of foods. You won’t get tired of the same old produce when you eat a varied diet of local, seasonal, organic produce. 3. Adding in some dried fruits and nuts will increase your variety even more. Need some protein in your salad or smoothie? Adding a serving of nuts can add healthy fat and protein to your diet. Dried fruits and nuts can also spice up your organic spring mix salad and make healthy eating delicious. 4. Don't be afraid to experiment with new foods. What are those spiny little brown things in your local produce section? How about that giant cucumber looking thing? Ask the person in the produce department or farmer’s market what something is and how to prepare it if you’re not sure. There is a wide world of fruits and veggies out there just waiting for you. 5. Vary the grains you eat. Food manufacturers love to use corn and wheat in processed foods. Varying the grains you ingest can help improve your gut flora, which will in turn benefit your overall health and reduce your cancer risk. You should eat a diet high in fiber and low in fat. And avoid those GMO’s! Want more helpful information? I’ve got lots of tips I’d love to pass on. Contact me, Linda Dulicai, at 540-428-1949 or linda@The-Healthy-Zone.com. A practitioner for more than 38 years, Linda Dulicai is a Certified Natural Health Professional and an Advanced Loomis Digestive Health Specialist educated in more than 25 modalities of wellness. She is CEO of The Healthy Zone.